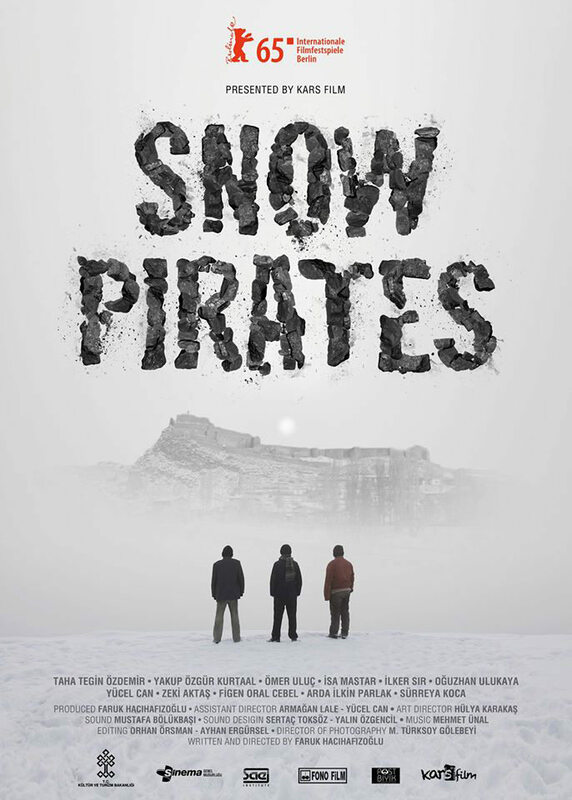 Snow Pirates (Kar Korsanlari) is a Turkish coming-of-age movie set against the backdrop of the 1980 military coup. Tightly driven and well acted, first-time writer and director Faruk Hacihafizoglu slowly ratchets up the pressure before a tense and exacting finale. The schoolyard crushes and classroom shenanigans of friends Serhat, Gurbuz and Ibo are rudely interrupted by a military coup in Ankara, and even their small eastern hometown is not immune from the political upheaval. With the military seizing coal in the depths of winter, the three boys are forced to scour the countryside for any other source of coal to heat their homes. With soldiers patrolling the streets, and things getting worse everyday, they have no choice but to leave their innocence behind and deal with the grinding reality of life under a military regime. Snow Pirates cleverly takes the viewer into the mind’s eye of three 12-13 year-old-boys during a dangerous period in Turkish history. However, being just boys, they are largely unaware of the significance and threat of everything happening around them. This means that Serhat is just as concerned about getting ice-skates for his birthday as he is about the sight of political prisoners with paper bags over their heads. Radio broadcasts and news bulletins in the background serve to keep the viewer appraised of the deteriorating political situation, although the boys pay little attention to this. The movie skillfully creates a dissonance between reality, and the boys’ own views and actions. This makes for some nice moments of black humour, as well as high tension, as disaster could be lurking around every corner. The acting by the three young leads, local talent in their first major feature, is particularly commendable as they manage to bring to life a believable and realistic friendship. The cinematography is also excellent, with snow-covered hills and fields on screen bringing with them a palpable chill. Well shot and well acted, Snow Pirates is edge of your seat stuff.